So, what’s your 5p opportunity? Life changed on the 5th October, suddenly the decadence, overconsumption and excesses of our plastic bag fetish were dismissed with one act of law. No more would we walk from a supermarket with handfuls of crisp plastic sat limply in our hands, no more would we spend hours parading the advertising messages of various stores in our hands as we marched through packed shopping centres. 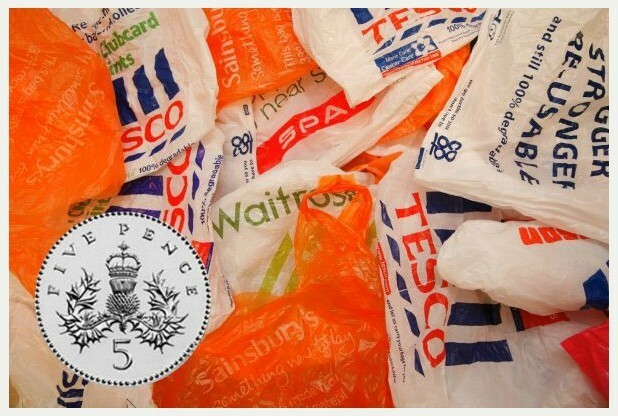 Now we must pay 5p for the privilege or take our (plastic composition) bags for life everywhere with us. I joke of course, the vision behind the 5p charge is a worthy one and necessary to change habits. The implications of the change should be to ensure the over-use of potentially harmful plastic bags is limited, but there may be more of an impact on your shopping/customer service experience than you appreciate. For most people customer service is the cornerstone of a good business. The interaction at the till for many is the point that the store stands or falls. A smile and pleasant chat can really make a difference to your day let alone your shopping experience. The best part of shopping at my local supermarket is chatting with some of the regular till people (they look forward to Saturday/Sunday morning banter I just know it!). My view of the local supermarket is built on this feeling of warmth and they have my loyalty as a result. I’m at an advantage with the whole 5p thing at the supermarket, I’ve been taking my own bags for years. My experience isn’t repeated everywhere though. Recently a family member of mine went to a very well-known high street retailer and purchased several items. At the counter they were treated very well and asked if they needed a bag for 5p. Prepared, said family member declined politely at which point the server pushed the items across the counter, no folding, no receipt in the bag, no help to pack them, an opportunity to upsell/continue the previously slick till interaction gone…all for the sake of 5p. This at a major high street retailer who has the processes and resources to put a new procedure in place. So what is your 5p moment? Where in your business is the 5p interaction? Is it in the sales department or the till, the operations team or the account team? Is there a critical point that a small customer interaction could be tweaked? Have you even looked at how consistent your touchpoints are across your organisation? This can be even more relevant where external forces have had an impact on a previous process. Or perhaps a star member of staff who was able to make up for a poor touchpoint through their own personality has gone, exposing your customers to this inconsistency. Sometimes changes brought in to improve one aspect of our businesses or marketing efforts can have unforeseen and negative impacts on other aspects. Be mindful that your 5p improvements aren’t losing you £5 somewhere else.